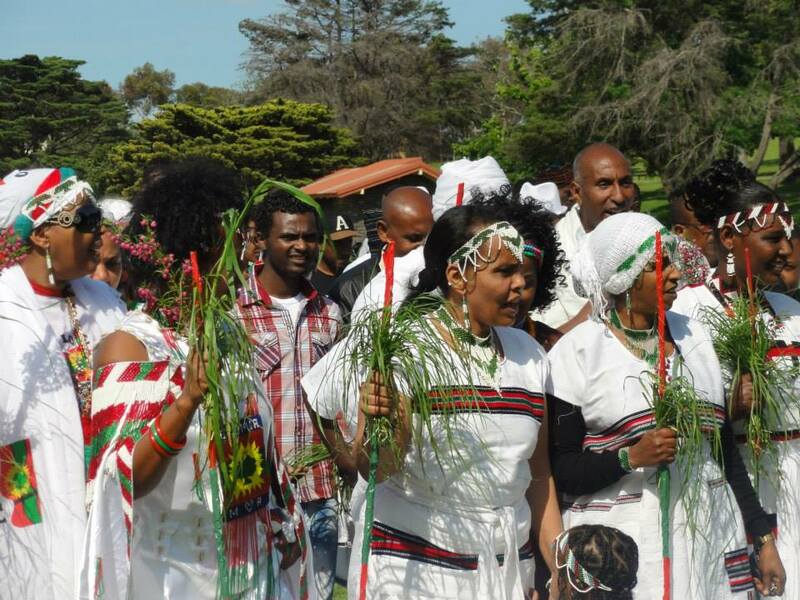 It has become evident since recently that the Oromo across religious, political and geographical boundaries have converged together in celebrating an annual ritual/festival called irrecha. Historically, irrecha has been understood and practiced within the context Oromo religion, Waaqeffannaa – a belief in one supernatural power called Waaqa (God). However, as I will discuss shortly in this piece, irrecha has undergone some transformations in accommodating non-religious aspects of Oromo culture and thus has played significant role in building Oromo identity and sense of unity. In the contemporary context where the ritual brings Oromo across different walks of life, irrecha should be understood more as an arena where Oromo identity is articulated, reconstructed, built and practiced, rather than as a religious-oriented or a mere thanksgiving celebration. Before delving into some historical trajectories that shaped irrecha to be the way it is practiced today, I will briefly clarify on some conceptual understandings of the ritual itself. Traditionally, the Oromo practiced irrecha ritual as a thanksgiving celebration twice a year (in autumn and spring) to praise Waaqa (God) for peace, health, fertility and abundance they were given with regards to the people, livestock, harvest and the entire Oromo land. Irrecha is celebrated as a sign of reciprocating Waaqa in the form of providing praise for what they got in the past, and is also a forum of prayer for the future. In such rituals, the Oromo gather in places with symbolic meanings such as hilltops, river side and shades of big sacred trees. Here, I would like to make clear that Oromo people never worship any of these physical landscapes though some outsiders and detractors of Oromo culture and religion represent it as such. Rather, these physical landscapes are chosen for their representations in Oromo worldviews, for example, green is symbolized with fertility, peace, abundance and rain. In Oromia, the core center of irrecha celebration has been around Hora Arsadi in Bishoftu town, some 25kms to the south of Finfinne, the capital city. Annually, particularly during the Irrecha birraa (the Autumn Irrecha) in September or October, the Oromo from different parts of the country come together and celebrate the ritual. In the past few decades, irrecha celebrations have been expanded both in content as well as geographical and demographic representations. This short commentary deals with such historical trajectories by contextualizing the changes within political discourses in Ethiopia vis-à-vis Oromo nationalism. Irrecha in Pre-1991 PeriodsAny analysis of the rights of Oromo people to exercise its culture, religion, economy, governance, language and identity within the Ethiopian state should be positioned within the historical trajectories that brought the birth of the modern Ethiopian state and the subsequent political, economic and cultural dominations unfolded upon the subjugated peoples of the South in which the Oromo people was a part. Following the military conquest of the different hitherto autonomous states of the South by the army of Menelik II in the late 19th century, the Amhara ruling group imposed its culture, language, religion and political dominance over the subjugated nations and nationalities. Menelik’s soldiers dispossessed the land of the conquered people and reduced them to the status of tenancy. In areas of religion, Orthodox Christianity was installed as the only legitimate religion while other religious practices were denigrated, discouraged and at times banned. For instance, Orthodox priests took the place of Oromo Abba Qaalluu and other religious leaders. Oromo religious and cultural practices became targets of state repression during those times. Irrecha rituals were very restricted and were portrayed by state backed Orthodox Christian church as a practice of devilish worship. The military regime that overthrew the imperial regime in 1974 initially seemed to have tolerated traditional cultural practices, language diversity and religion but its communist orientation and ‘modernist’ discourse had placed the regime at odds with these fundamental rights of the peoples of the country – the right to cultural and religious practices. While it outlawed ‘religion’ – though Orthodox Christianity did not face state persecution as other religious sects – it labeled traditional cultural practices such as irrecha as ‘backward’ and obstacles to development and revolutionary ethos of the regime. As a result, irrecha and other Oromo religious and cultural practices were banned by the government. It is imperative to mention two fundamental motives behind state suppression of irrecha (as common to other Oromo cultural practices) during those eras. First, successive Ethiopian regimes had subtle and overt policies of establishing culturally, linguistically and religiously ‘homogenized’ Ethiopia in their quest to build Ethiopian nationalism as a replica of Amhara and to some extent Tigrayan identities. Secondly, the Ethiopian state was built on a cultural and political identity that depicted Amhara/Tigrayan cultural/political superiorities. The myth of ‘great tradition’ that portrays the North as cradle of ‘civilization’ and conversely demotes the South to the opposite was in the center of Ethiopian state identity. This myth has been used to legitimize exclusionary policies of the state against the people in the conquered region in the process of political, economic and cultural representations. In the process, denigrating the culture or religion of the ‘Others’ as ‘backward’ was used as strong instrument to place one’s own on the privileged position. The Revitalization of Irrecha in post-1991 PeriodIn 1991, Ethiopia underwent remarkable political reconfiguration following the overthrow of the military regime. The analysis of the political ideologies of the new regime is not the objective and scope of this piece. Rather, it suffices to mention that the new political arrangement along ethnic federalism fundamentally deconstructed the old illusion of nation building along one dominant cultural path. Ethnic groups (nations and nationalities) were for the first time given a constitutional right to exercise, preserve and promote their religion, culture, language and history. Although the translation of these constitutional rights into practice has faced inconsistencies and flaws all through the last twenty years, it was a breakthrough in providing a political space for cultural revitalization. Under the initiative and organizational leadership of Macha-Tulama Association, irrecha celebrations were started in Hora Arsadi in mid 1990s. As the period was the heyday of Oromo nationalism and self-conscious, irrecha became not only a religious practice as in the past; rather it served as an arena where Oromo people across religious boundaries could meet and share their common identity. However, it maintained its fundamental element of Oromo’s connection to Waaqa (God). The thanksgiving ceremonies, prayers and blessings by elders have put Waaqa in the center of the ritual while songs and material culture the youth decorated themselves with brought into the scene political and emerging Oromo national identity. In both cases however, two fundamental principles of the ritual were consistent across different time spans. Firstly, irrecha served and still serves as a medium or symbol of connection between Oromo and Waaqa through thanksgivings, prayers and blessings. Secondly, irrecha rituals reflect how emotional, cultural, psychological, spiritual and identity issues are embedded and embodied within the Oromo and thus one cannot dissociate one of these elements from another. Another major feature of the post-1991 irrecha celebration was that it attracted more of the youth and the educated class than before. This should be contextualized within the broader Oromo consciousness and the rise in Oromo nationalism. University students, government civil servants, businessmen/women and people in different professions were highly involved in the celebrations. It became at times an arena where people could meet, discuss and demonstrate their common issues – political and cultural to a larger extent. However, it soon became a contested space between different actors, mainly between political parties (the ruling party and opposition political parties and movements). The ruling party was confronted by two ambivalent developments on its side with regard to irrecha and other Oromo cultural revitalization movements. Firstly, the constitutional provisions its enacted grants, in theory, the right of nations and nationalities to exercise their culture, religion, language and history. On the other hand, people’s exercise of such rights – like the case of irrecha, music, language, etc. – would inevitably raise the level of self-consciousness of the people that would in the long run challenge the status qou. For example, using the constitutional right as a legal protection, many participants on irrecha used to ecorate themselves with material culture and costumes that reflect the flags of the Oromo Liberation Front (OLF) rather than that of Oromo People’s Democratic Organization (OPDO). Around the year 2003/04, the government of Ethiopia heavily scrutinized irrecha festival and tried to manipulate it for its own advantage. Since then, irrecha in Oromia fell under full control of the government. While such intervention gave irrecha more publicity on the one hand, as the celebration was at times given huge coverage on state media, it has added a political dimension on the other hand. It should be noted, however, that the contestability of this cultural field still persists despite strong state intervention. Irrecha in ExileIrrecha is not only practiced among the Oromo in Oromia. As hundreds of the Oromo are in exile for different reasons, their culture, religion, language and identity also exiled with them. Because irrecha has a cultural ambiance in connecting the people to Oromo land and the creator, Waaqa, it still remained as strong element of connection between the Oromo in diaspora and home – Oromia. In the past ten years or so, the Oromo across different parts of the world (from Toronto to Melborne and Bergen to Johannesburg) have come together and celebrated irrecha as a common icon of their identity. If anything could be mentioned in bridging the differences (political and religious) within Oromo in the diaspora, irrecha has become the major binding force not as a mere cultural or religious practice but for its conjoint constitution of culture and identity. Currently, irrecha has got publicity among the non-Oromos (Ethiopians and non-Ethiopians alike) to the extent that city administrations in different countries recognized the celebration and granted the Oromo with the spaces for the ritual. To sum up, irrecha as one of the Oromo cultural practices has responded to different forms of internal and external influences but persisted across history in binding the Oromo across religious, political and geographical boundaries together. Today, it is considered as the major unifying emblem of Oromo identity. Despite relentless attempts by different actors (interest groups) to appropriate irrecha for their interests or to demote it altogether, it continued to be a marker of Oromo’s embedded cultural identity. Among the diaspora in particular, where political rift is more apparent, irrecha is believed to converge differences and in the future investing on how Oromo common markers of identity would contribute to common visions of the people should be the core agenda of all the Oromo. Posted on October 3, 2014, in Uncategorized and tagged celebration, cultural practices, Ethiopia, Oromo Liberation Front, political ideologies. Bookmark the permalink. Leave a comment.